Smart Florida Gutters installs thousands of feet of commercial grade aluminum gutters every year. We are committed to getting your guttering solution right – the first time so that you can enjoy stable foundation, great roof longevity and a damp patch free façade for years to come. Gutters drain precipitate from the roof adding years to its life. And you do not want to jeopardize your roof in any way! Gutters with the right downspout positioning deposit this drained precipitate away from the foundation of your property reducing chances of structural damage and basement flooding. Gutters prevent damage to siding and eliminate staining on brick and stone masonry. Our seamless guttering solutions are crafted from the highest quality commercial grade Aluminum and last for at least 30 years. Every installation carries a robust lifetime warranty. Our gutters are not joined with sealant. They are smooth, single units. This prevents the build-up of debris and reduces the risk of clogging. Since the pipes are almost invulnerable, rough weather doesn’t lead to rusting and split seams. Our guttering solutions are made to last. The pipes are firmly secured to the fascia with stainless screws and come with leaf guards to keep away branches, small animals, and other pests. 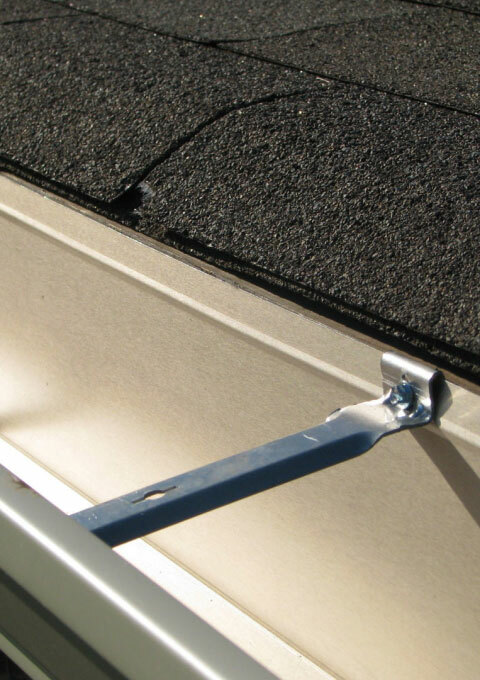 Smart Florida Gutters offers offer completely customized solutions. The units are cut as per your house specs and crafted in your favorite color. Our palette boasts more than 20 popular hues. Get in touch with our residential gutters expert for a free and accurate quote.